MT Lycra printers are adept at printing and producing brilliant results on Lycra fabric, which is a relatively difficult fabric to printing with. 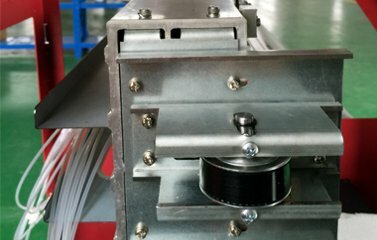 Due to our use of the latest digital belt printing techniques in the industry, the quality of our printer and printing is applauded by our customers. Lycra is the most popular fabric for swim wears, and the printing methodologies of digital belt Lycra printer employ ensure vivid, lasting colors that do not fade even with repeated washes, exposure to chlorine and salts. The fact that Lycra is more susceptible to stretching than other fabrics, is a point that is always taken into consideration. Our sophisticated belt conveyer equipment and printing processes allow the fabric to be treated gently during the printing cycle, so that undue stretching does not occur. Our industry knowledge and expertise lend a great degree of flexibility to our Lycra printer projects, which is why MT digital belt Lycra printer can cater to a broad spectrum of printing requirements on Lycra. High-quality printing results coupled with a remarkable printer delivery time, are a matter of pride for MT. 1. New digital textile inkjet control system is equipped with Digital Spandex Fabric Printers. It supports variable dots size setting to provide higher ink covering volume per unit in order to improves higher production capacity. 2. High-speed printing! Epson DX5, Ricoh Gen5 or Xaar1201 industry grade printheads are optional for Digital Spandex Fabric Printers. Those are the most popular printheads for digital textile printing industry in the world, especially in Europe and North America. Because, it suit for big lots continue and unstoppable industrial production. They are high durability and high resolution printheads to provid the printing speed up to 100 sqm/h, which can meet the demand of volume production for digital textile fabric printing. 3. Digital Spandex Fabric Printers can match the width on fashions, sportwear and swimwear application request. It can print and produce various colorful textile spandex fabrics that can be used in our life. The maximum printing width for MT digital Belt Textile Printer is 1.8m. 4. Digital Spandex Fabric Printers provide Professional textile belt carrier system. This system can carry the textile fabric without tension, suit for both of the stretchable and un-stretchable textile fabric. 5. Digital Spandex Fabric Printers support various textile dye inks, suit for different types of fabric. d. It supports textile Disperse (sublimation) ink, which can print on polyester fabric, like spandex and lycra. 6. 4 or 8 colors ink is available for Digital Spandex Fabric Printers. They are really support double 4 colors and CMYK plus 4 special Neon colors(fluorescence colors) printing, be able to get wider color gamut. 7. Digital Spandex Fabric Printers equip with all in one fabric feeding in and rewinding system, plus three sets of fabric drying heater unit. 8. All-in-one computer operation platform equip with Digital Spandex Fabric Printers. 9. 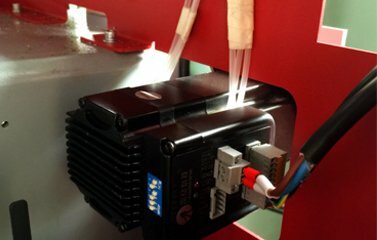 Printhead printing height is adjustable for Digital Spandex Fabric Printers. 11. Digital Spandex Fabric Printers equip with Bulk Ink Continue Supply System. The Belt Textile Printer installs 8 bulk ink tanks (2L/tank) and 8 cartridges (220ml/pic) that will keep long time stable working with non-stop ink supply. 12. Digital Spandex Fabric Printers adopt Advanced Belt conveyor device with Auto Deviation Correction system. a. Import German “Sieglin” is equipped with Digital Spandex Fabric Printers. Conveyor belt is especially for digital textile printing; it can work over 10 years. 13. Belt auto self-clean & drying system equip with Digital Spandex Fabric Printers. Digital Spandex Fabric Printers are applied in textile printing Industry to replace traditional spandex and lycra printing techniques, which is the solution of both large batch & small batch, low cost, fast printing requirements. The productive printing speed and width options achieve the possibility of meeting the fabrics printing requirements with digital printing method. Adequately Meeting customers' requirements of sportwear printing, swimwear printing, digital polyester printing, sample printing and more applications.